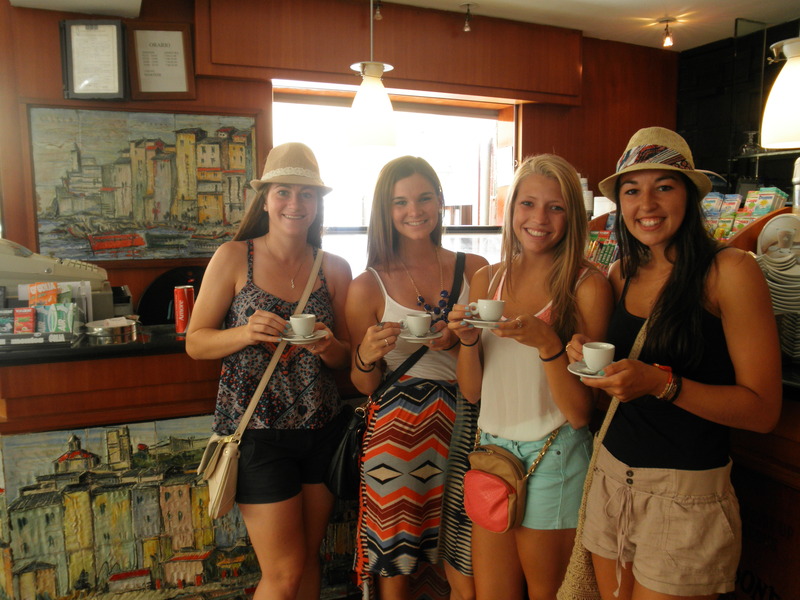 Ali, Haley, Katie and I drinking espresso before the day began. 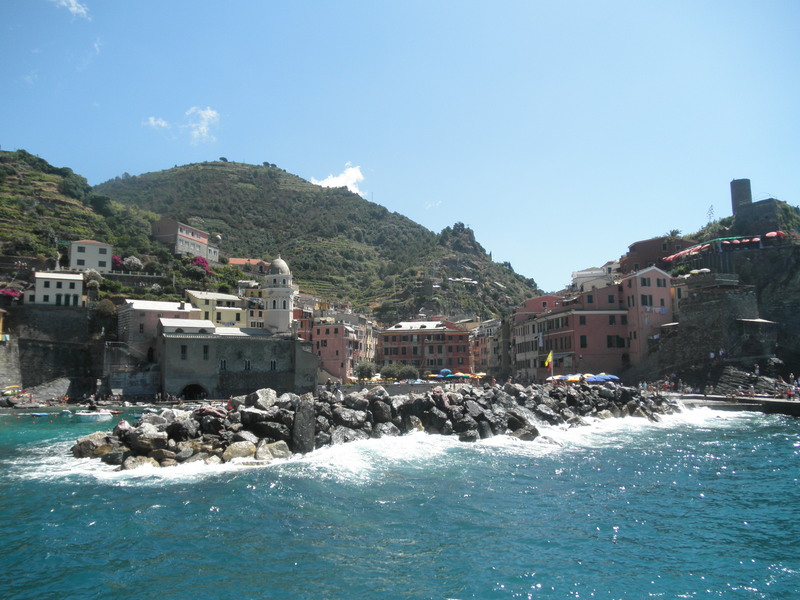 One of the villages we passed on the boat tour. 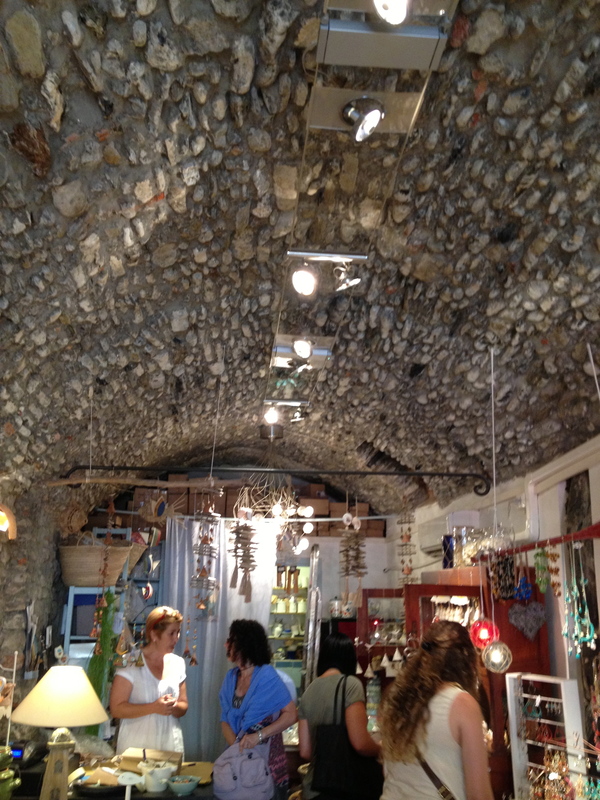 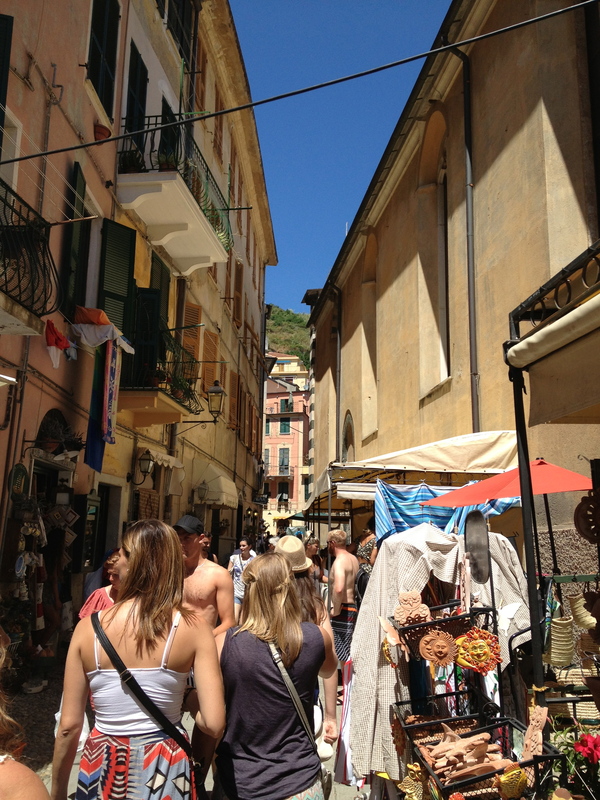 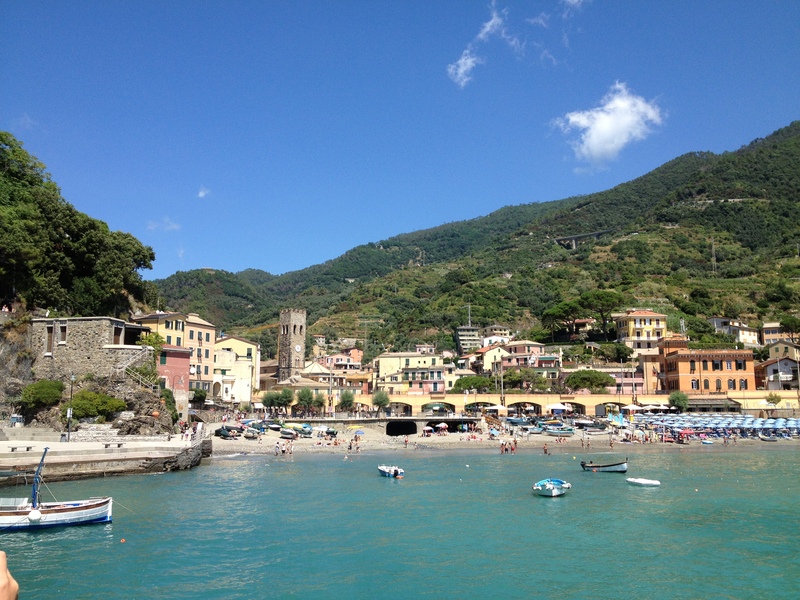 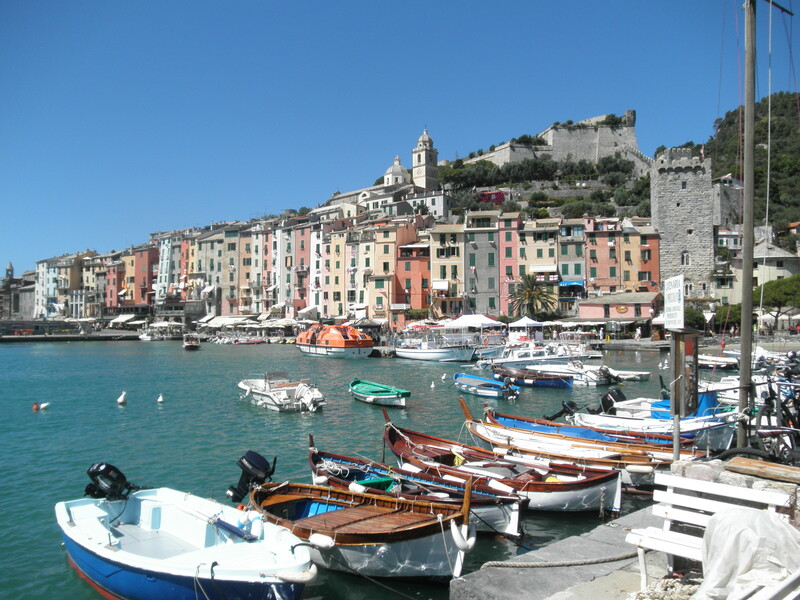 The view of Monterosso, as we got off the boat. 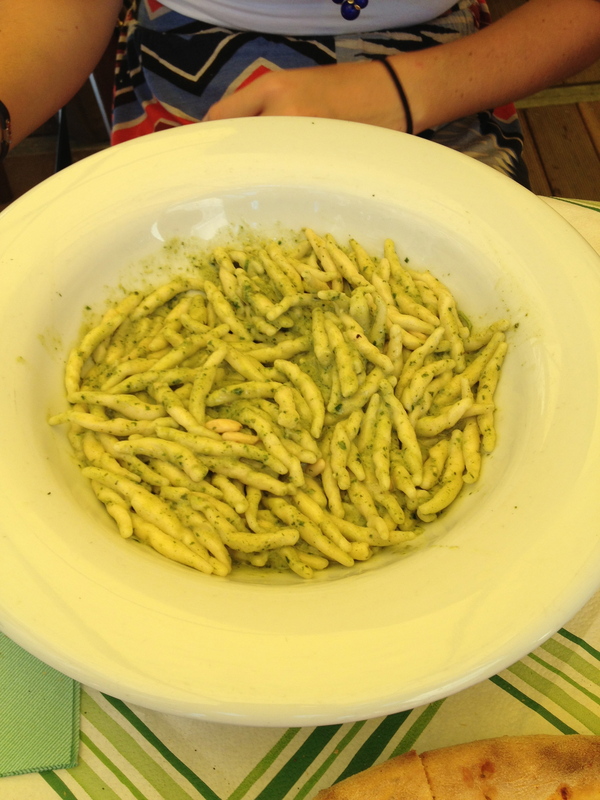 Trofi pasta in pesto and butter. 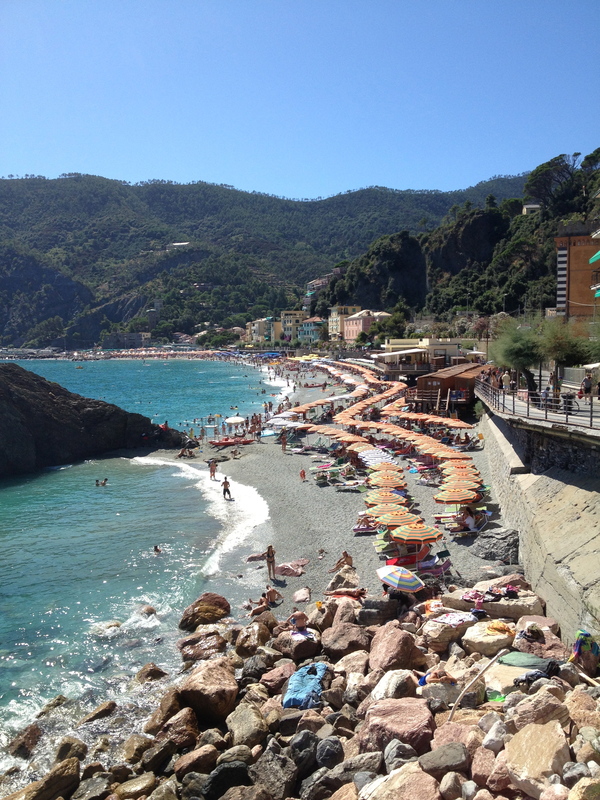 we had for lunch.